Ayshe Talay-Ongan has a very unique writing style that makes Turquoise an easy read. I had no problem reading the story, but it was a little hard to get excited over the characters' actions and motivations and hard to understand the focus of the novel. Turquoise is set in the 1980's and follows Dr. Yasmin Akatol as she ventures through a loveless marriage while dividing her time between her best friend's husband, business, and family life. The summary of Turquoise is a little misleading. At least, it caused me to expect much more focus to fall on the political tension between the Turkish and Armenian citizens. Yasmin is Turkish and her friends Ani and Renan are Armenian. There are several instances and events that show the hate and violence between the Armenians and Turkish, it even hits Yasmin's family with a devastating outcome, but in the end it didn't have a strong bearing on Yasmin's affair with Renan. For all that Yasmin talked and dreamed and wrote about her desire for a life with Renan, the story becomes less engaging and I felt detached from their heartache and yearnings. Yasmin mentions passion between her and Renan but the story was just too summarized, with events that lead up to a anti-climatic and quick ending, to give readers a chance to experience that passion. There are several aspects of the novel I appreciated. The tension between the Armenian and Turkish mentioned in the story is still relevant today, whether it's talked much about or not. Ongan's writing style has a poetic elegance that distinguishes Yasmin voice. Overall, Turquoise is a love story that would appeal to the intellectual crowd, or readers who love a novel's narration to take on a light-hearted tone. I was having lunch with some women friends yesterday, a glorious day to have a salad by the waterside in Sydney. The age range was 25 (my daughter) to 81 (my mum’s generation). As the five of us popped open our chilled white and toasted to friendship and health, I thought of my husband. When was the last time he had lunch with a group of his mates, I wondered. My admirable partner was never a pub cat. He doesn’t play golf. He is semi-retired and does his design projects from his home office. Ergo, there are a few close mates with whom he occasionally meets for lunch. The rest of his social life is with our wide and mutual circle of couples, mostly. Me, I have lunch with the girls, different girls, at least once a week. I don’t think it is just me either; we women are wired for sustained friendships and primed to nurture them. Few women would not have a bunch of close girl friends. Lucky us! What do we talk about over a cup of coffee with our friends? Yes, family and children, of course, their partners, achievements, foibles, whatever. We open up to other women in our social circles, and share our feelings with them not only about our home lives, but also about our personal problems and our work lives. As we listen to each other with elephant ears, we advise each other. Women have a developed capacity for empathy and altruism — they strive to kiss and make it better not just for the kids, but for the world over. If you are not in a relationship and want a partner, trust your girl friends to set you up. When you break up with one and are hurting, call them, and they’ll come sit with you, make you cups of tea, and wipe away your tears. Or get drunk with you. And make you the third wheel, at least for a while. Now I invite you to consider what siblings do. Fight, beat up and put each other down, yes, but as brothers and sisters come into their adult years, more often than not they also tend to support each other. Somehow, that bond of blood and shared DNA makes us have a stake in the welfare of our sibling. They are the one to go to when one is in dire need. Can we develop such a bond without biology linking us? Yes, we can! But brotherhood and sisterhood are two different concepts yet again! Men become brothers if they’ve fought together (under flying bullets or in their sports team). The mate they play golf with or go to a watering hole with is not their brother; he is just a mate! On the agenda when they meet is sports, politics, cars, women, conquests, technology and more sport. They talk facts, news, numbers. Consider sisterhood, on the other hand: our conversations with other women friends usually have a huge emotional agenda. We feel lighter after having shared. We feel supported, acknowledged, affirmed by the strength of the friendship. Trusting our personhood to women friends comes with the territory. Our connections are organic, relationship-centred, authentic and nurturing. Just like sisterhood. Indeed, I have many sisters none of which I share my DNA with. And the good thing is, you can chuck out a friend if she puts you down, but what would mum say if you cut ties with your sister? Thank you so much for sharing your thoughts on Women and Friendships, Ayshe! Having lived in Istanbul, New York City, San Francisco, Paris, Florence and Sydney, Ayshe Talay-Ongan is a true citizen of the world. Turkish by birth, American by citizenship and Australian by residence, Talay-Ongan has called Sydney home since 1989. 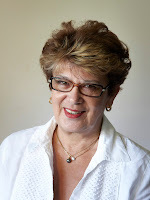 A psychologist (M.S., Ph.D., Columbia University), and emeritus academic, Talay-Ongan has three published textbooks in developmental psychology and dozens of research articles in academic journals. 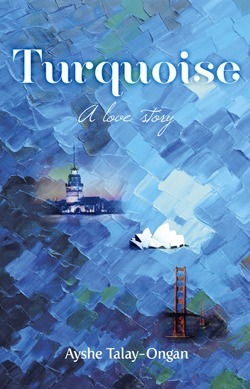 Turquoise – A Love Story (January 31, 2012, Sid Harta Publishers) is her debut novel. The book captures the saga a love that spans two decades, three continents and two marriages, and is inspired by Talay-Ongan’s own life experiences. Its sequel, Emerald, is currently underway. Talay-Ongan lives in Sydney, Australia with her family and Burmese cat Simba, who likes sleeping on her head. I find it amazing that she is a psychologist. Thank you for the giveaway.